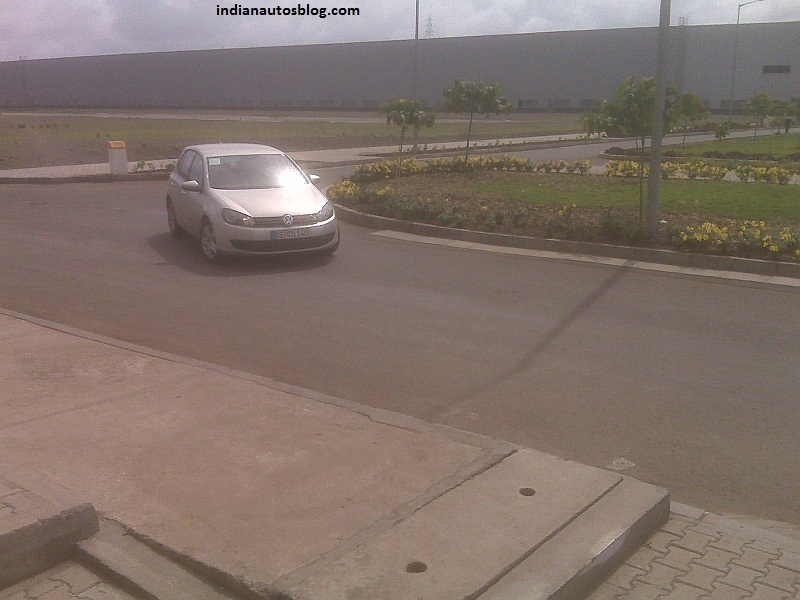 When I visited VW's plant in Chakan, Pune, a couple of weeks ago, I happened to spot a LHD VW Golf doing rounds at the plant. VW has put a few Mk6 Golfs on the streets of Pune too with temporary registration plates, but the one seen here has a European board, possibly German. As per VW, the Indian market isn't the best place to sell a premium hatchback as many Indians feel they'd rather drive home a sedan instead of a hatch like Golf. VW could be testing powertrains that may appear on the next generation Jetta coming in 2011 on this Golf mule. It doesn't really matter what kind of a product the Golf is as long as there are cars like the City, Verna, Fiesta and SX4. We predict top-end variants of the Golf could end up in the Cruze-Civic-Corolla segment. VW India's next project after the Vento, is the sub-Polo hatchback which could be branded Lupo.